The reviews are in for Aladdin and though the critics don’t strike 100% agreement, the overall sentiment is that this BIG comedy musical is perfect for anyone looking for light-hearted fun with a whole lot of spirit. There’s magic at play here. 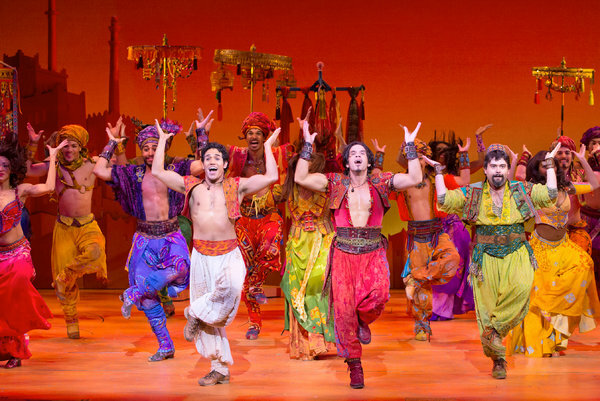 With all the dazzling Broadway costumes and scene settings, the flying carpet (yup, you read that right, the flying carpet), and the fun, stylized direction and choreography by Casey Nicholaw, the New Amsterdam Theatre is transformed into a palace of wonder nightly. How’s the acting? Go to see the comedic and charismatic Genie, James Monroe Iglehart, who’s woven a complex and quirky menu of characters into his portrayal. You know the story and you love the songs, now go experience the unabashed wonder of Aladdin live — just maybe leave your jaded, critical self at home.